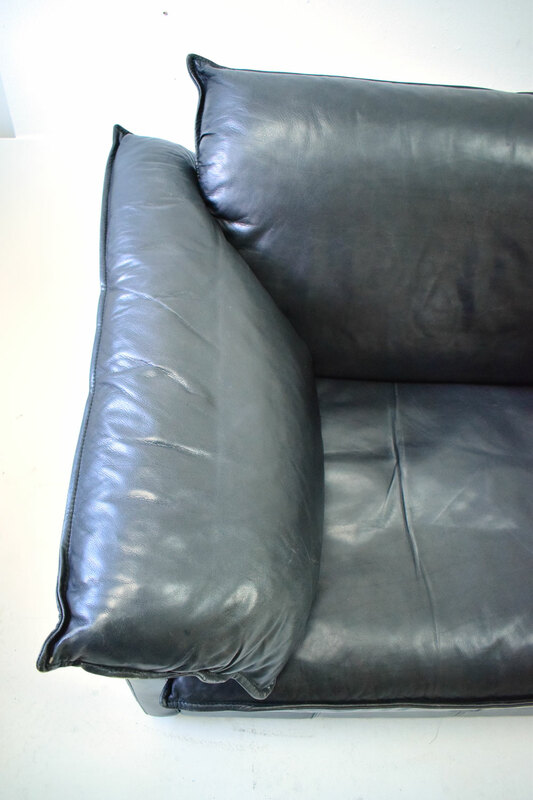 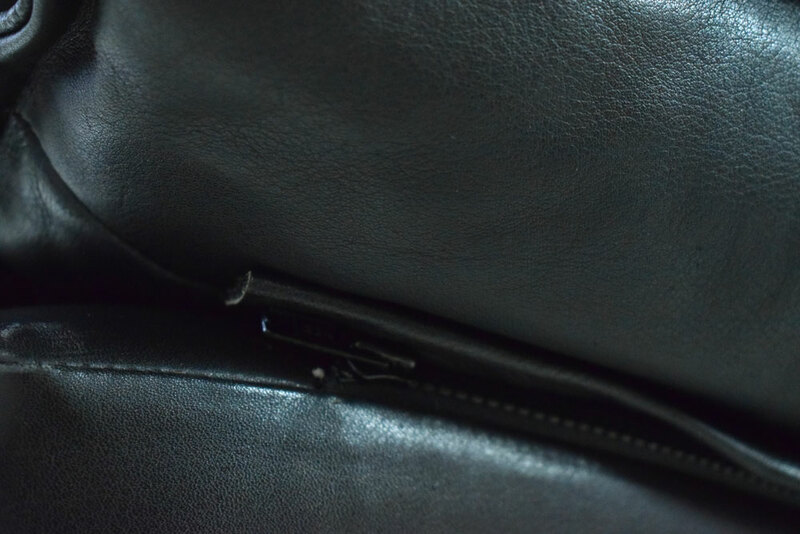 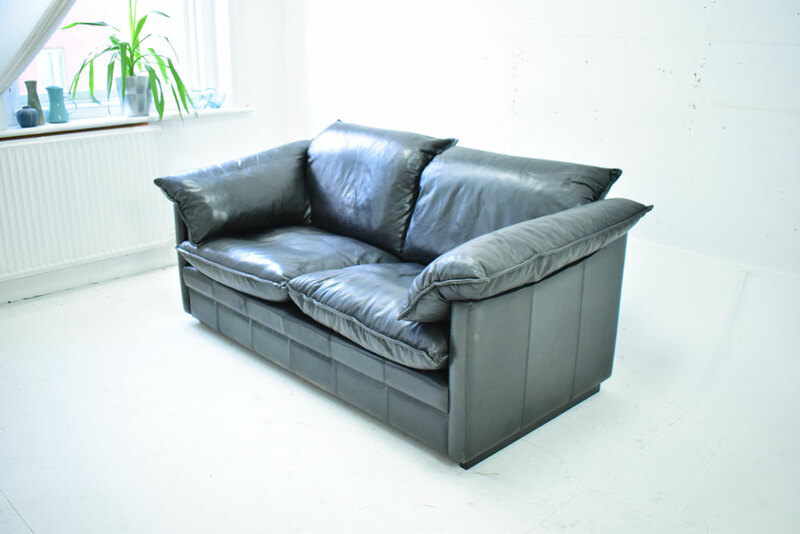 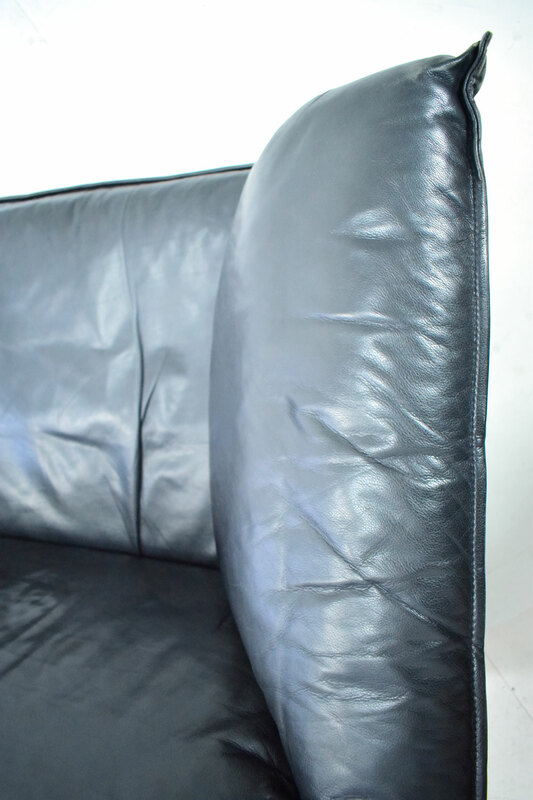 Modern Danish 2 seat sofa in black leather upholstery with feather-filled cushions. 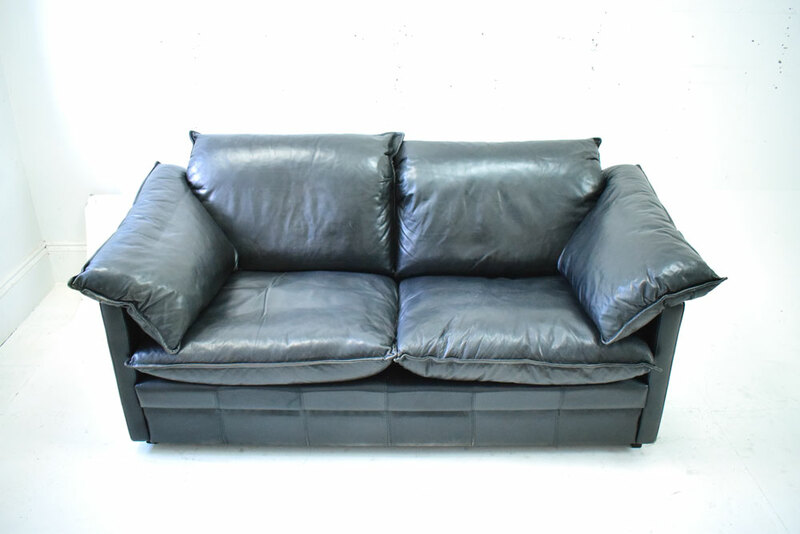 This lovely 2 seater sofa is supportive & comfortable, and is perfect for use in a living room. 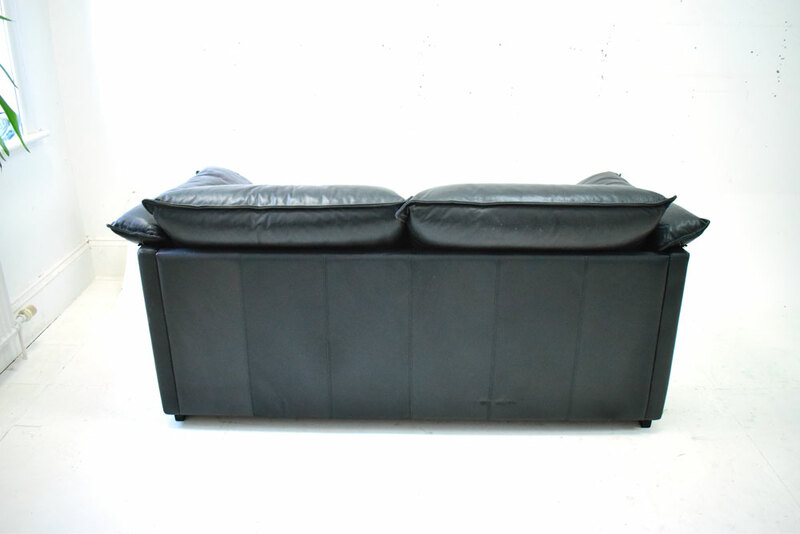 The sofa features wide arms with cushions on them, making for a comfortable seating experience. 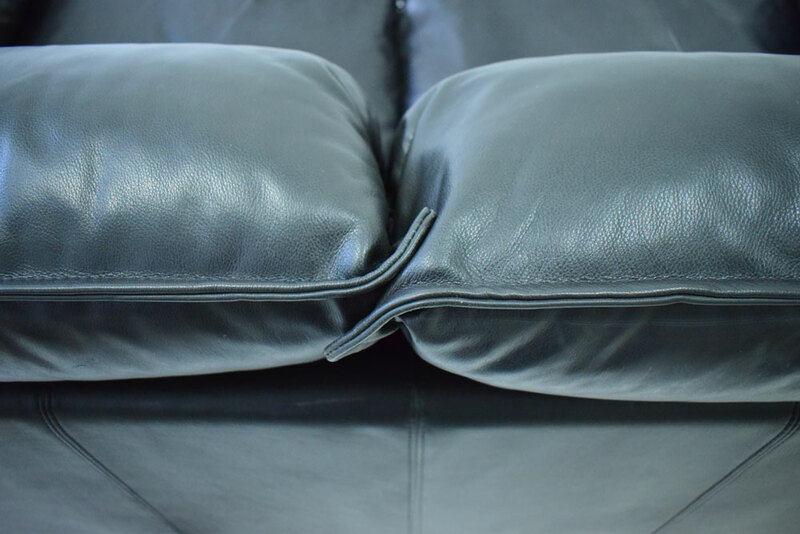 All the cushions are feather-filled and can be plumped up by manipulating the feathers should they settle. 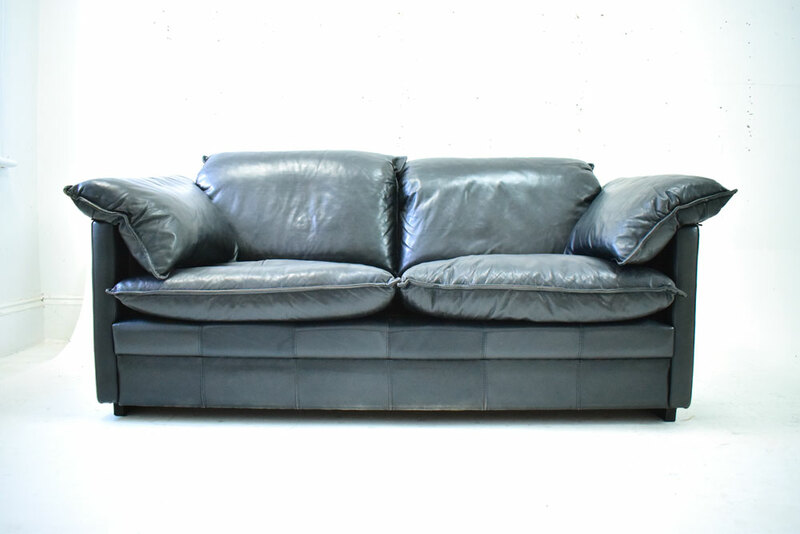 Condition: Very good with minor signs of use & age. 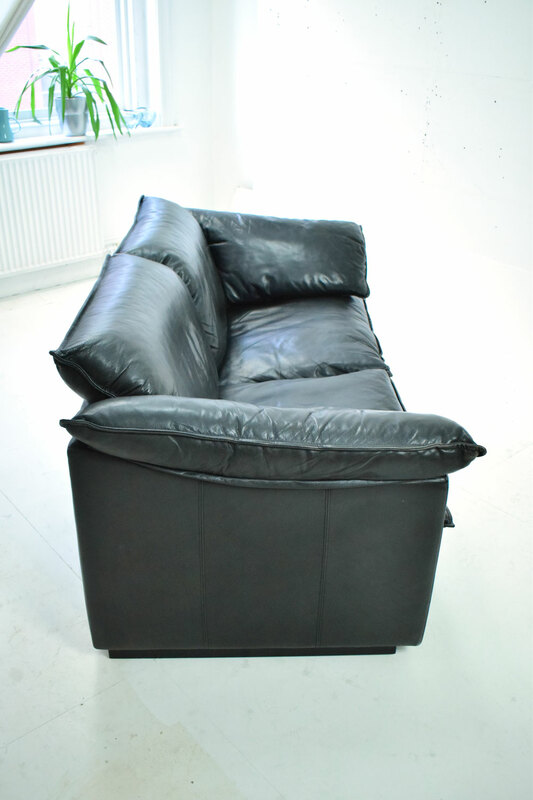 The seat and back rests are supportive and comfortable.